If you’re aiming for a lucrative business idea, it may be time to brush up on your number-crunching skills. Accounting services topped the list of the top 15 small-business sectors by net profit margin over the last 12 months, according to Sageworks, a financial information company. The list was compiled using a database of more than 1,000 financial statements from private companies with less than $10 million in annual revenues. 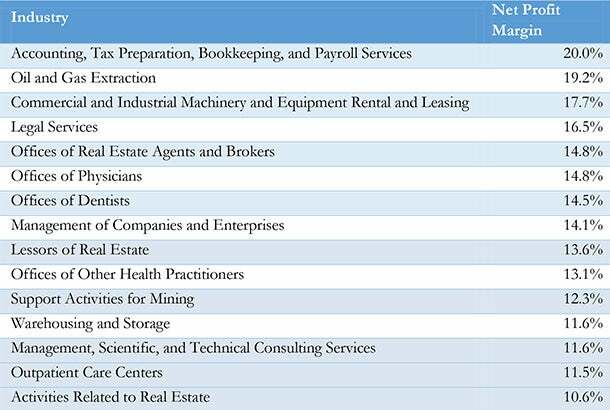 The Sageworks data found that accounting led the pack in delivering the best profit margins, but service-based businesses in health care and real estate dominated the rest of the list.